During the committee hearing Councilmember Chris Ward asked the city's independent budget analyst to conduct a study of consumption lounges and provide the results to the committee. 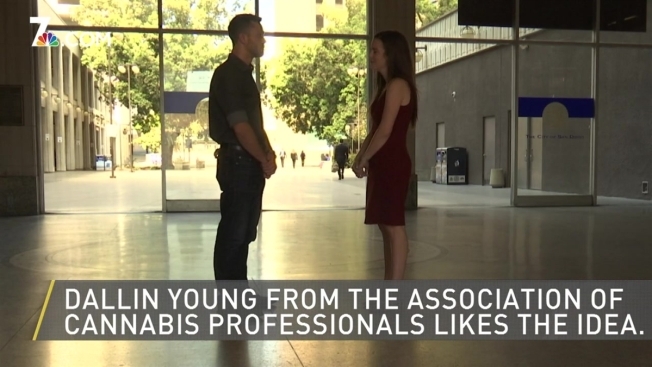 “When we have a cool place like this where people can gather and participate in the legal market, that’s ultimately going to take people away from the illicit market and bring revenue back to the city,” said Dallin Young, a board member with the Association for Cannabis Professionals. There are cannabis lounges in the Bay Area, Eureka, West Hollywood and Palm Springs. Most close by 10 p.m. Many local businesses have come out with new pot products since legalization. Everything from marijuana-infused craft beer to cannabis coffee. Young said there is not currently a place to enjoy these products. California law says that recreational cannabis can only be consumed in an owned home. He believes pot cafes could give people a safe place to consume. "There's a big concern with drug-impaired driving," said Scott Chipman of San Diegans for Safe Neighborhoods. "The economic benefit would be far outweighed by the cost." Chipman gives the example of the state of Colorado. "They're spending way more on pot enforcement, impaired driving, medical bills and other things than the economic revenue and taxes coming in," said Chipman. A study by the National Transportation Safety Board found that crashes are up as much as 6 percent in Colorado, Oregon, and Washington compared with nearby states that have not legalized recreational cannabis. According to Forbes, California has had over $2.75 billion in cannabis sales since recreational marijuana was legalized. Do you think there should be cannabis cafes in San Diego?